The PBA was preparing to launch their rebranded logo and tagline at their Annual Breakfast, the organization’s largest event each year. This keynote event featured hundreds of attendees from the local business community, with tickets running upwards of $100 each. The PBA was unveiling their new logo and tagline at the event, and wanted a take away item for attendees that would showcase the new logo. Find an affordable (less than $1.00 each) item that would be useful and desirable to attendees of the Annual Breakfast, and that could be used as a giveaway item for the PBA after the event was over. The item also had to stylishly show-off the newly-designed logo. 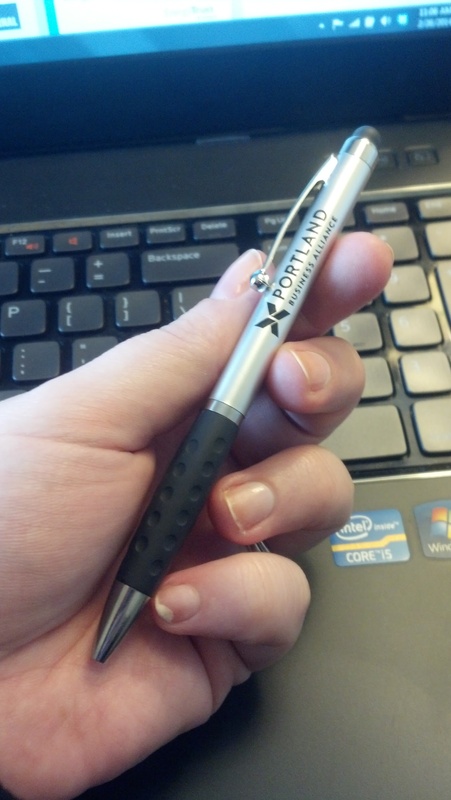 Jag found an affordable pen/stylus combo that would appeal to PBA members and Annual Breakfast attendees. 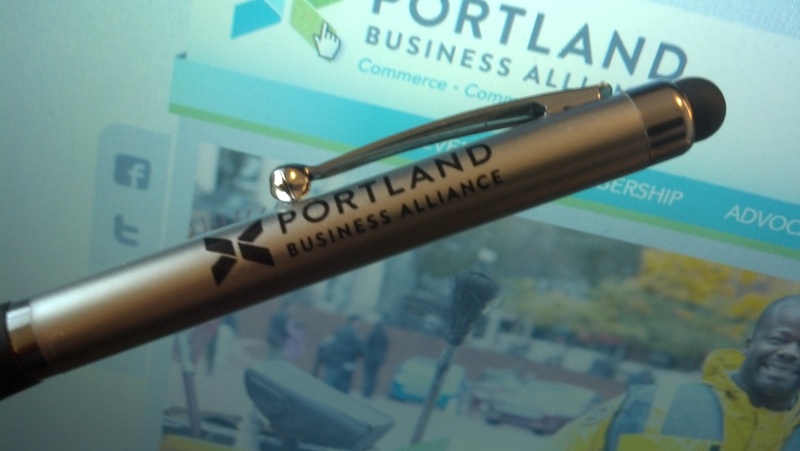 The PBA loved the sleek, simple and stylish design of the pen/stylus — which allowed us to cleanly and prominently feature their new logo. Attendees loved taking home the pen/stylus combo. Additionally, the PBA continued handing the item out to prospective members at future events. One such prospective member loved the pens so much, he asked for more. He offered to even make a donation to the PBA to procure some — and instead, ended up becoming a new member!